When something important happens in your life, who do you call? Whether it’s a new job or promotion, a wedding engagement, a baby on the way, or any number of other milestones, many of us can’t wait to pick up the phone and call the person who we know will be excited for us: our mothers. Though we all grow up and move away from our parents’ homes to find our own paths in life, we cherish and draw strength from the unbreakable connection we have with our families. No matter how far we travel or how much time has passed, we want our nearest and dearest to help us celebrate our biggest triumphs – and to comfort us during life’s most daunting challenges. When we call home, we know that we’ll hear a warm, caring and supportive voice on the other end of the line. Calling your mom can be a powerful mood booster – even science agrees! A study released in 2010 by the University of Wisconsin-Madison found that talking to mom on the phone is as reassuring as getting a hug from her. In their experiment, young girls were given public-speaking tasks. Some of the girls’ mothers were present and briefly provided comfort, partly through physical contact. Other girls spoke to their mothers over the phone. A third group had no contact with their mothers. Researchers took saliva samples from the girls to measure the stress hormone cortisol. They also collected urine samples to measure oxytocin, a hormone known to help mothers and children bond. The results? The girls who had contact with their mothers in person or over the phone had about the same hormonal response, releasing similar amounts of oxytocin; there was no change in the oxytocin levels of the third group. The girls who had contact with their moms also had less cortisol in their saliva than the group who had no contact. Not only does calling your mom make you feel better, but it makes her feel better, too. A six-year study from the University of California, San Francisco, released in 2018, found that loneliness raises older adults’ risk of functional decline and death. Research has also found possible links between loneliness and other health problems in seniors, including dementia, heart disease and depression. Unfortunately, loneliness among seniors is common in Canada, to the point that some experts consider it a public health crisis. 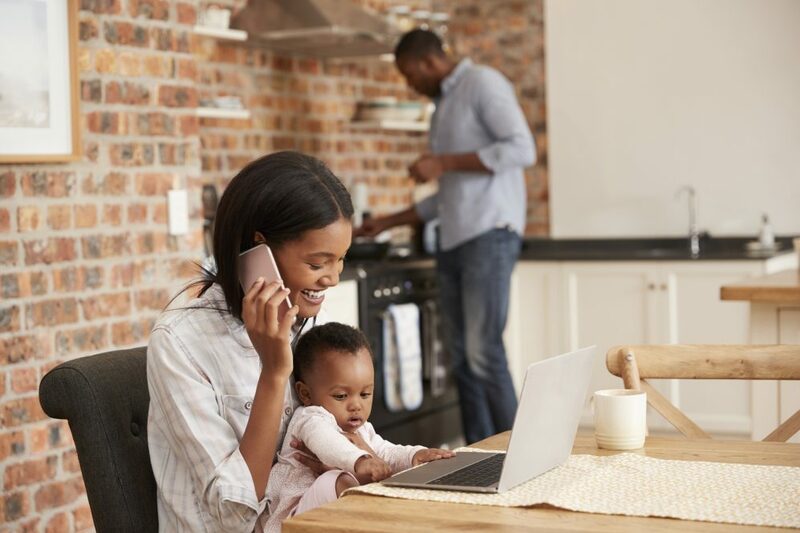 Thanks to the modern marvels of the digital era, we have more ways than ever to connect with our families, from texting and emailing to calling and video chat. Take time today to do yourself and your mom a heartwarming, mood-boosting favour – make the call! Help your mom live independently for as long as possible with services from Bayshore Home Health. We offer transportation, light housekeeping, meal preparation and other services, available as needed. Contact us at 1-877-289-3997 for details.